New research shows that blood donors could safely give blood more frequently than is allowed at present. 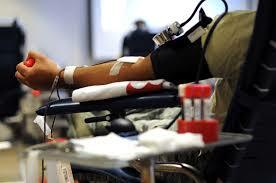 At the moment in the UK men can give blood every 12 weeks, women every 16 weeks. The new research may lead to the official recommendations being changed and the intervals between donations shortened. Blood donations began more than a century ago but until now there has been no research to discover how frequently donors can give blood without it affecting their health. The study showed that, over a two-year period, allowing donors to give blood more frequently boosted the supply of blood to the NHS without having a major impact on their health. The study, published in the Lancet, was carried out by a team from Cambridge and Oxford Universities and NHS Blood and Transplant. Supported by the UK Medical Research Council , British Heart Foundation and NIHR Cambridge Biomedical Research Centre the study involved 45,000 blood donors. The men were randomly assigned to groups giving blood at 8-, 10- and 12-week intervals; the women to groups giving blood at 12-, 14- or 16-week intervals. The results showed that, giving blood at the shorter intervals resulted in much more blood being collected without it having a major impact on the donors’ quality of life, mental function or physical activity. However, some of those who gave blood more frequently did report minor symptoms including tiredness and restless legs, and the research suggests this may have been due to giving blood. According to the lead author, Dr Emanuele Di Angelantonio from the University of Cambridge, the study also showed that donors who weighed above average and those with higher initial stores of iron were able to give more blood. The results from the trial suggest that better screening methods should be sought to detect low haemoglobin in potential donors. 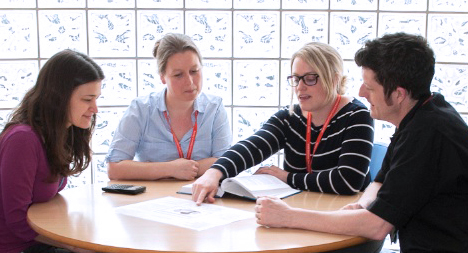 NHS Blood and Transplant and the University of Cambridge have started the COMPARE study to test different ways to measure when a donor is anaemic and should not give blood. One of the donors who took part in the study, Paul Harvey, comes from a family of blood donors and both he and his brother were delighted to sign up.